IGN.com's Best of 2012. 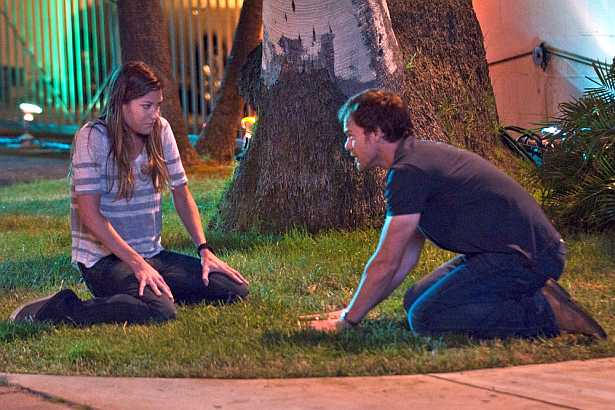 Emmy-worthy Dexter star, Jennifer Carpenter voted as the best TV actress of 2012! "Fact: Jennifer Carpenter is one of TV's all-time great criers. And over the past seven years of Dexter, she's had to do it a lot. Her fiance turned our to be a serial killer. Then her FBI profiler boyfriend got shot in front of her. Then a barista forgot that she said "no whip" on her mocha. Yeah, she doesn't really hold back. But this year, after Deb discovered Dexter's secret, her tears and anguish became nothing short of epic. And each episode became a journey of shock and awe as Deb kept peeling the onion, figuring out everything from Doakes to Trinity to Lumen. And her emotionally wrenching confession of love in the episode "Argentina" was the best work we've ever seen from her to date. And while the Emmys might not be able to love a gal who can let loose with a phrase like "Motherf***ing suckbag! ", we can deny our feelings no longer."